Jessie Wells, the heroine of Isabella Alden’s 1880 novel by the same name, never went anywhere without her jockey. Of course, when Isabella wrote about Jessie’s jockey, she didn’t mean someone who rides a horse . . . she meant Jessie’s hat. Jockey hats were very fashionable from the 1860s through the early 1900s. The style of jockey hats changed over the course of those years, but the basic design remained the same: a jockey hat had a brim or peak that protruded in front and a rounded, narrow crown that fit close to the top and sides of the head. Jockeys were usually trimmed with a tassel or feather. 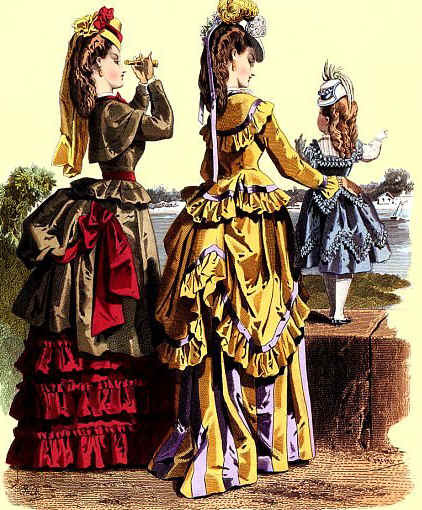 Elisabeth McClellan illustrated the 1860s style of jockey hat in her book, Historic Dress in America. 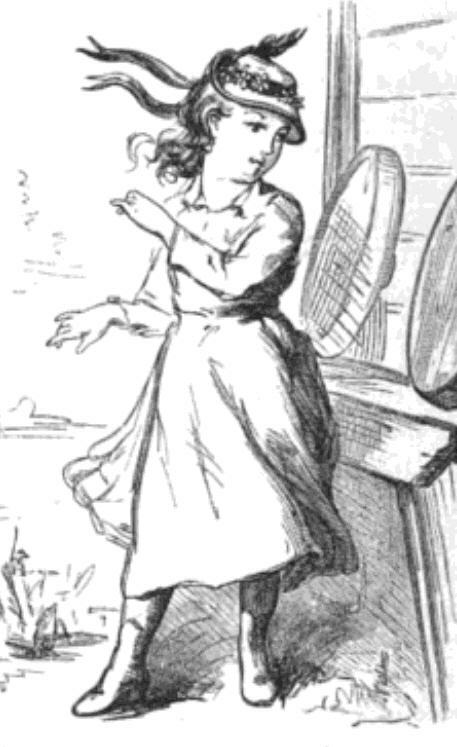 Illustration of a jockey hat from Historical Dress in America by Elisabeth McClellan. 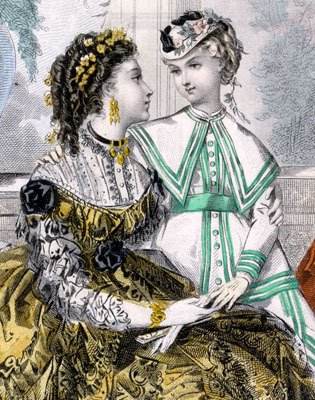 The style of hat was so much in vogue in 1860s America, a popular song was written about it. You can click on the image below to read the song’s lyrics. 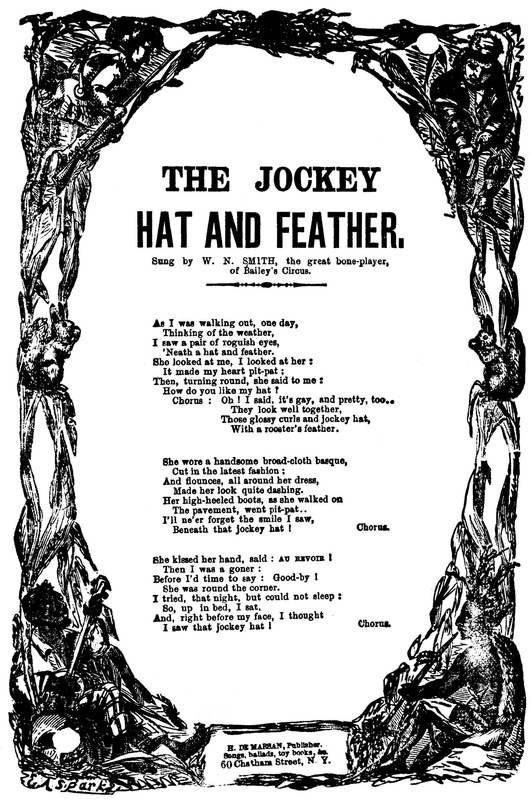 Cover to the sheet music for the 1860s song Jockey Hat and Feather. 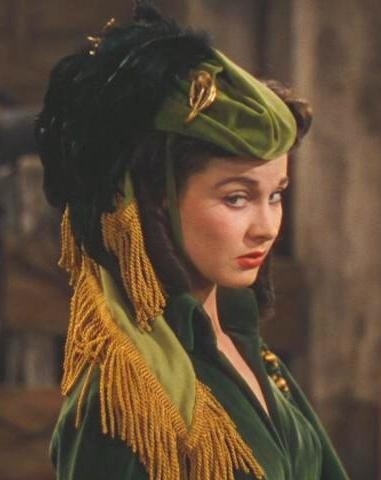 Perhaps the most famous illustration of a jockey hat was the one fashioned for the character of Scarlett O’Hara to wear in post-Civil War Georgia in the movie, Gone with the Wind. The famous jockey hat worn by Scarlett O’Hara in Gone with the Wind. Though it was made of drapery fabric (as we all know), Scarlett’s jockey was quite fashionable with its styling and trim. Straw jockeys were in fashion in the 1870s and 1880s. 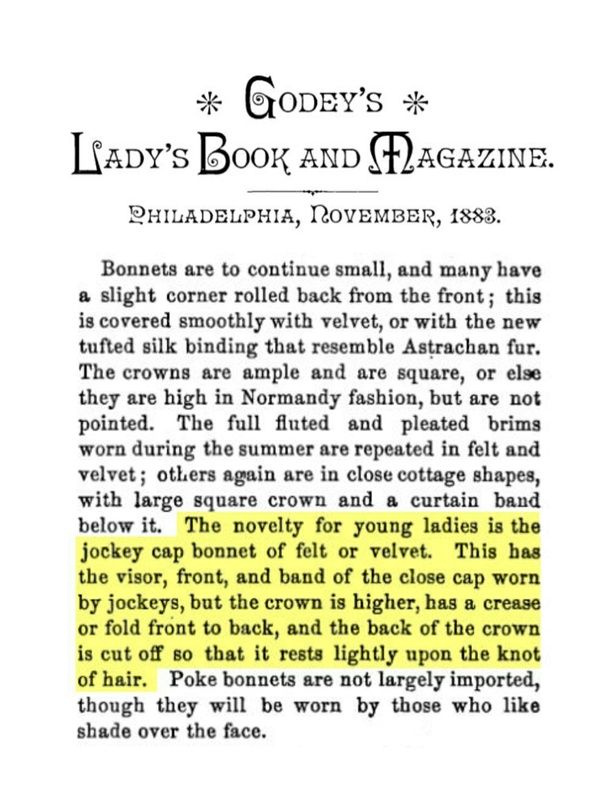 Isabella may have imagined Jessie’s hat of straw, because she wrote scenes in the book where Jessie set her jockey down on the ground (an action that would have soiled a jockey made of fabric) and she often used her jockey to fan herself. 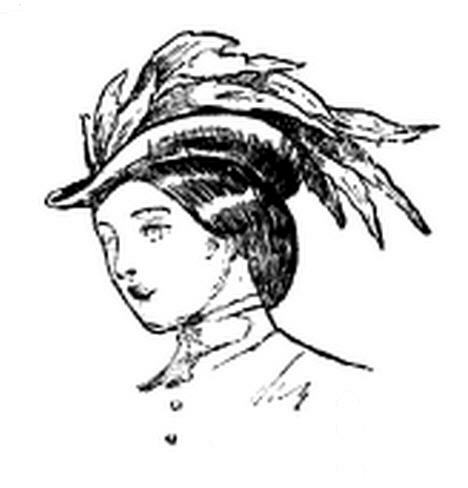 Version of a girl’s jockey hat from La Mode Illustrée. 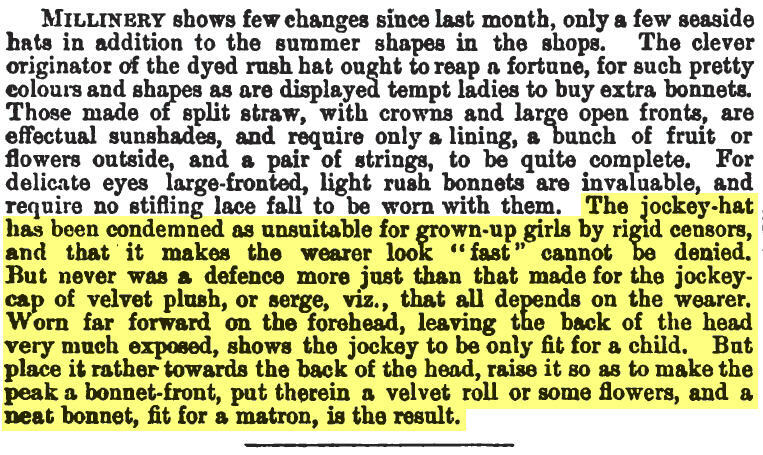 In America, there were no such restrictions, however, and ladies wore their jockey hats sitting forward on their foreheads at a fashionably jaunty angle. Fashionable jockey hats for ladies and young girls, from La Mode Illustrée. Many thanks to blog reader Merry Chris for suggesting this topic. You can click on the book cover to read more about Isabella Alden’s book, Jessie Wells.